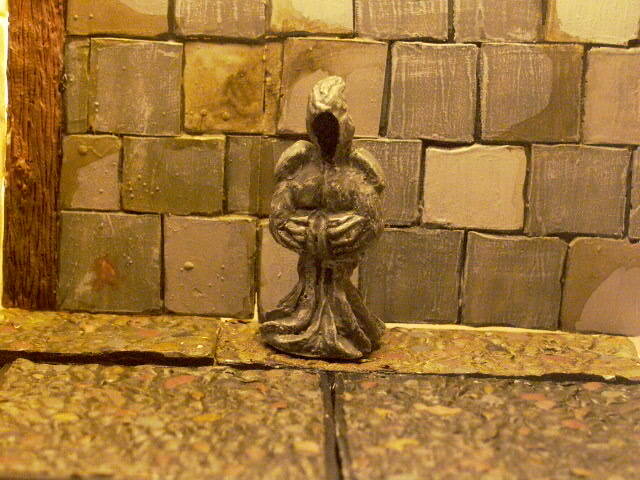 This lady is my first mini for sale. The bar girl looks good after a few rounds of drinks. I am teaching myself how to sculpt, so hey you have to start somewhere. I now know what tools I need for making it smooth now. 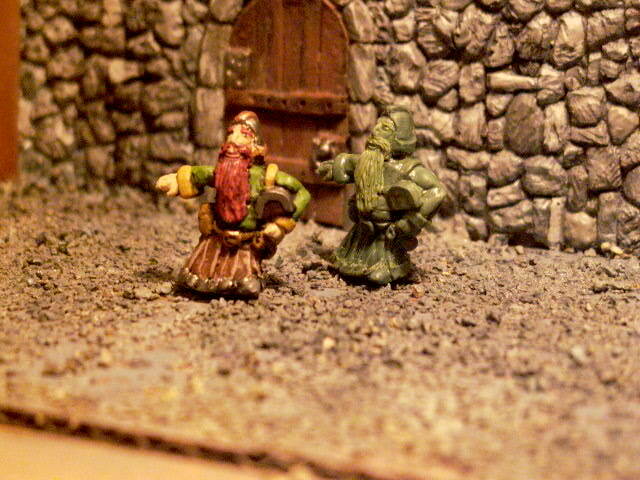 A Dwarf I made with a heavy, small treasure box. Could be used as a guide for quests. With a outstretched arm and hand. Many loose bits could be used with him. Holy Statue is 36mm to where eyes would be. Great for graveyards, churches, cult, monk, etc. Looks as if it could be walking. Shoulder pads for some symbol painting. The back side of my mini. No weapons, just a nice lady for the lonely mini's. 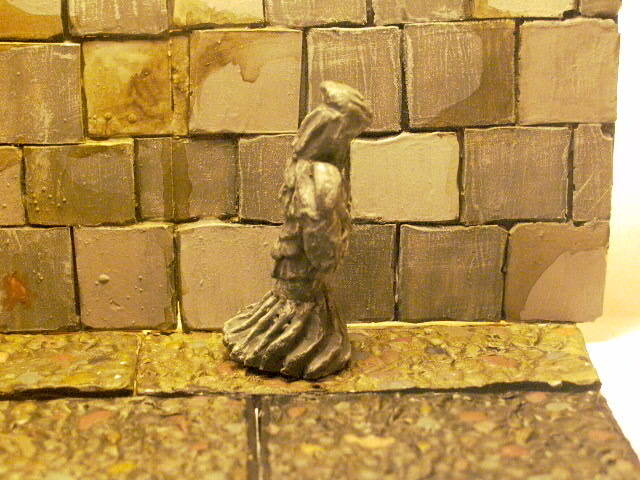 As you can see by the Dwarf below, I found out how to make a smooth surface. 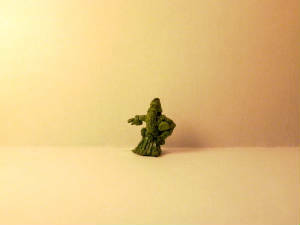 This little Dwarf is one of many new sculpts I am working on now. He is 23mm to his eyes. This will be a one piece resin model. He leans on purpose, showing the box is heavy. Both sides have a bunch of detail. 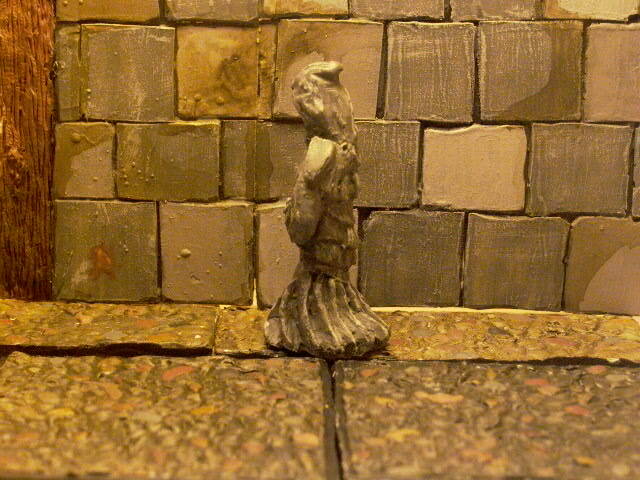 A plain grey was used with a light grey drybrush. Make them line up in a entryway to a building. I could just see 4 of these Statues in front of a model. She is not so perfect, but I am working on my sculpting as I have time. Made as filler for a pub or bar model. I will work on the green to make her skin better soon. Then I will make a new mold. 3.00 for Dwarf with box. Any Dwarf that does a little digging knows gold is heavy. The bigger the chest the more you have to lug around. A good 200 pound box will do. Not so heavy for a Dwarf. A Holy Statue to add a little bling to a model. Line them up on a entryway. Add them to a cemetary, place them as a trap to keep intruders at bay. Use them any way you want. 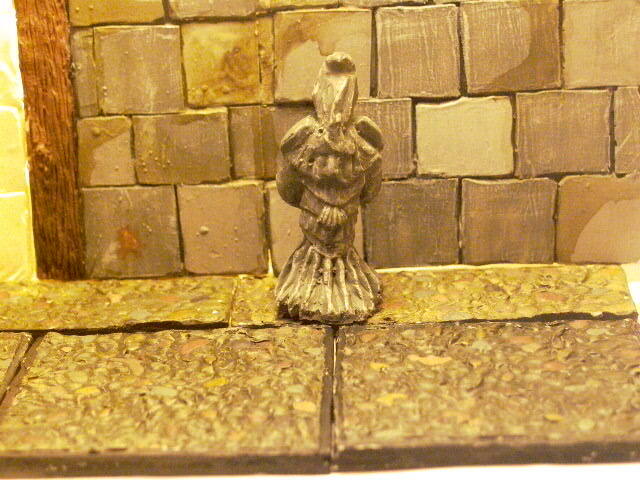 Made a little larger than most Mini's to be used as statues. If it had eyes they would be about 36mm. 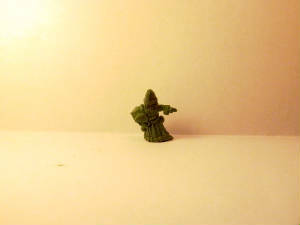 So they are about 3/8 to 1/2 inch bigger than a mini.Note: A set is 4 statues. We hope you have enjoyed looking around.